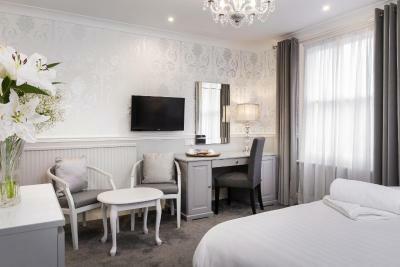 Lock in a great price for Lincoln House Private Hotel – rated 9.1 by recent guests! Friendly hard working staff and the proprietor is actively involved. Wonderful breakfast with an extensive menu. Perfect location near civic center. Everything in the hotel is as advertised. 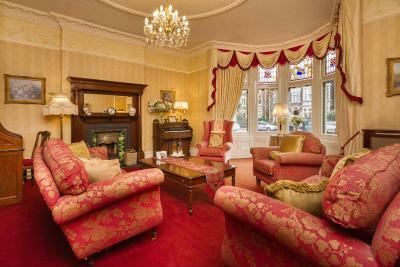 It is a Victorian building within a conservation area close to the rugby ground and city. It is well maintained from what I could see and very clean and tidy. Room was spacious and nicely appointed. Bed comfortable. I'm tall and I did not feel restricted. 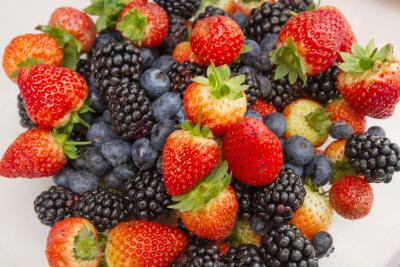 The breakfast was excellent, good quality and staff attentive. If you want something less corporate away from the hotel chains this will be a good choice. staff was friendly, informative, helpful and responsive to every question about our room, area attractions, restaurants and transportation services. And the breakfast was fantastic! Menu choice at breakfast was good, halibut with poached egg in particular. staff welcoming,breakfast very nice, bedroom clean, good location on a nice street. The downside was the heating, which for me was turned up far too high. This is a nice hotel, and is good for the City Centre, but I do think it is a little too expensive for what it is. The breakfast was excellent both days. The bed was very comfortable.....everything was really very nice. The staff was very welcoming. Thank you, so much!!! Fantastic stay at the Lincoln House Hotel. Parking for 12 cars at the back of the hotel as it is on a main road. There is a massive advantage of being able to walk through Bute Park for about 10/15 mins along the river and it brings you out right by Cardiff Castle. Breakfast was good very polite, helpful staff. Superb Italian restaurant and The Cricketers Pub is a must whilst you stay here. Only a few minutes walk to both but I would advise to book up well in advance as both are popular at weekends! Lincoln House Private Hotel This rating is a reflection of how the property compares to the industry standard when it comes to price, facilities and services available. It's based on a self-evaluation by the property. Use this rating to help choose your stay! 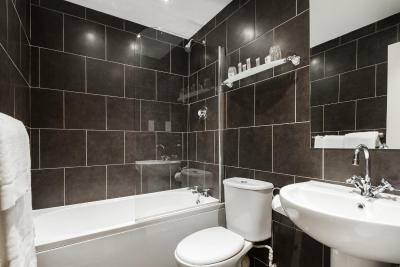 One of our top picks in Cardiff.Carefully restored and developed to provide you with all the comforts of modern living, this Victorian town house is ideally situated within easy walking distance of central Cardiff. Located in a select area of Cardiff, often referred to as "The Chelsea of Cardiff”, Lincoln House is set right on Cathedral Road, within easy reach of all of the city’s main attractions. Just a short stroll will bring you to the stunning Millennium Stadium, Cardiff Castle, Universities, Museum, Civic Centre, Glamorgan Cricket Ground and Cardiff Bay. 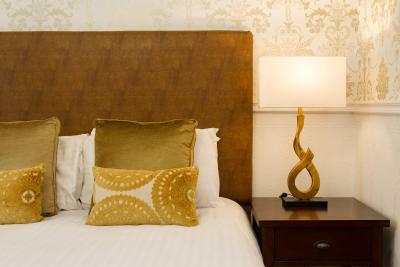 After a long day, you can return to the comfort of the hotel and relax in the tranquility of the residents lounge, or unwind with a drink in the bar. 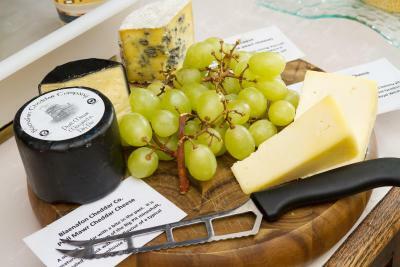 In Cardiff you can sample various restaurants, or have a take-out food delivered to the hotel. 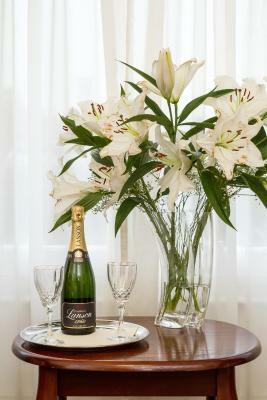 When would you like to stay at Lincoln House Private Hotel? 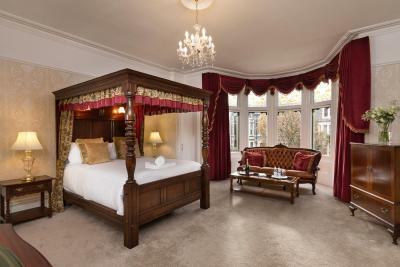 These rooms have Sash windows, a double bed, and either a walk-in shower or a bath with overhead shower. These contemporary rooms are styled individually and have 2 single beds. All rooms have modern bathrooms with either a walk-in shower or a bath with overhead shower. Located at the top of the hotel, this contemporary suite features 2 double bedrooms, a shower room, and an open plan lounge, kitchen, and dining area. Please note that the suite is on the third floor and there are no elevator facilities. 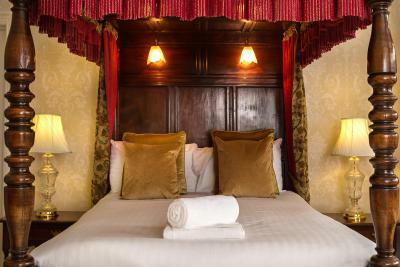 Both of these guest rooms house beautiful, canopied four-poster beds. Located on the 1st floor, overlooking Cathedral Road. These contemporary rooms are styled individually with king-size or super king-size beds. 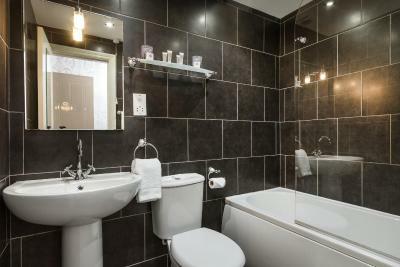 All rooms have modern bathrooms with either a walk-in shower or a bath with overhead shower. The room includes free WiFi, a hairdryer, a direct-dial telephone, and a flat-screen television. It also offers tea/coffee making facilities, and a work desk. House Rules Lincoln House Private Hotel takes special requests – add in the next step! Lincoln House Private Hotel accepts these cards and reserves the right to temporarily hold an amount prior to arrival. 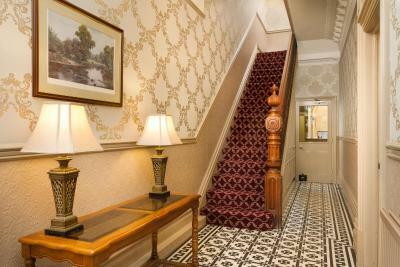 The hotel is a Victorian house and unfortunately there are no elevator facilities. Please note that parking is limited and is allocated on a first-come, first-served basis and spaces cannot be reserved in advance. Alternatively, free parking on the street is available. Any type of extra bed/sofa bed or baby cot is upon request and needs to be confirmed by the hotel. 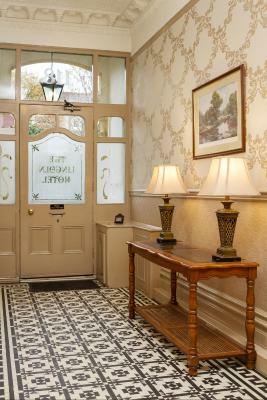 Please inform Lincoln House Private Hotel of your expected arrival time in advance. You can use the Special Requests box when booking, or contact the property directly using the contact details in your confirmation. Bed very comfy, good breakfast staff very courteous& pleasant. On a busy main road so sat night traffic non stop.Sunday night peaceful. Spaces for only 12 cars then street parking if you can find a space but any parking offered is a bonus in a city. The room was a little hot and we were disturbed by noise outside the hotel. 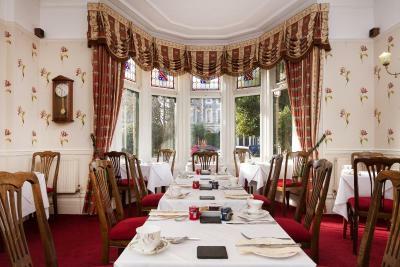 Excellent breakfast served by very cheerful staff, in a dining room with a friendly atmosphere. Very well placed for both the city centre and Bute park. Very accommodating regarding parking arrangements. Would of been good for 1 of the beds to have been kingsize. The attic apartment was airy and spacious and clean. 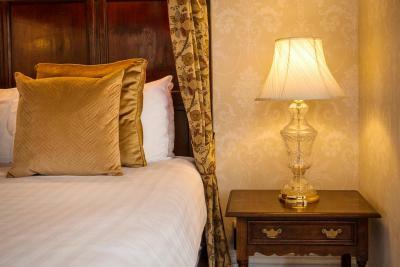 We have stayed at Lincoln house on previous occasions in double rooms, this time decided to book a king room for added space and were dissapointed with the size and quality of the en- suite facilities provided in the room. The bed was very comfortable, lovely decor, good selection on tea tray in room and breakfast is fantastic. I would also like to compliment the breakfast waitress on her professional and friendly manner- she was very helpful and nothing was too much trouble. Lovely hotel, very welcoming staff. I was comfortable and safe. Parking for only about 12 cars in hotel car park so sometimes a juggle but there was usually space. The street is wide and can park there until later in day. 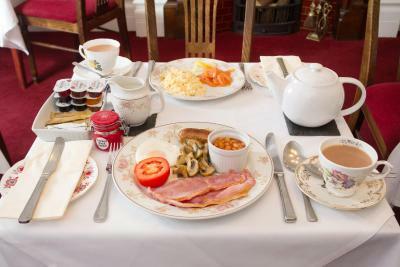 Excellent breakfast with good choice of fruit, cereals, fruit juices and full fried 'Welsh'! Quick & efficient service. Excellent location adjacent to Sophia Gardens and Bute Park for enjoyable walks and walkable to city centre and even Cardiff Bay too. Hotel had character.Lovely clean modern room, comfy bed, quiet even though near to city centre. Good situation for visiting castle, near to a park. Good choice of restaurants and pubs nearby. Staff at hotel very friendly and efficient. Good choice at breakfast.